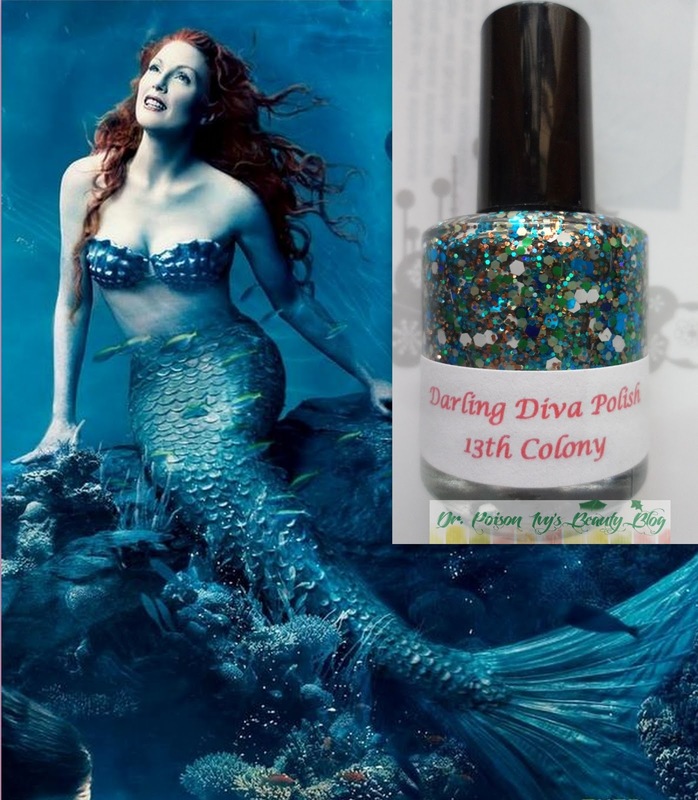 MERMAID was The first thing that came to my mind when i applied Darling Diva 13th colony polish. It looks like cluster of beautiful precious stones stuck to my nails. 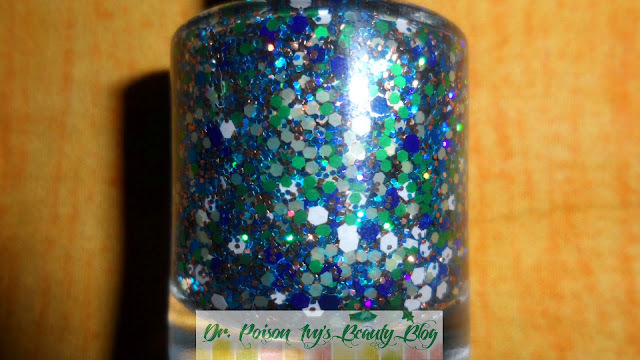 Full of blue, green, copper, and white hexes this has both matte and metallic glitters. This can be a little thick and I meant it that way. If you prefer it thinner a few drops of polish thinner will do the trick. i wanted to use only the glitter without a base just to show you how beautiful the glitters look. i feel so calm and peaceful when i look at these. 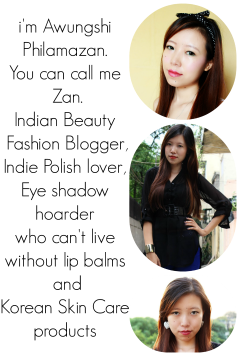 I made the application very thick at the tips and gradually tapered at the base to give it an oceanic look. To give it a smooth finish i had to layer 3 clear top coats . 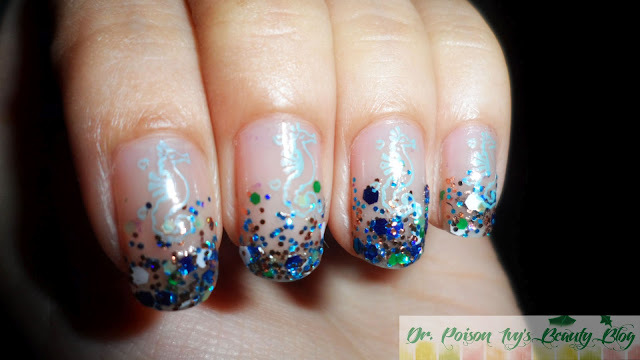 DID YOU LIKE THE NOTD? Phil, I have been trying to stamp my nails but I have now actually given up. But you did things so neatly! How do you girls really do that? 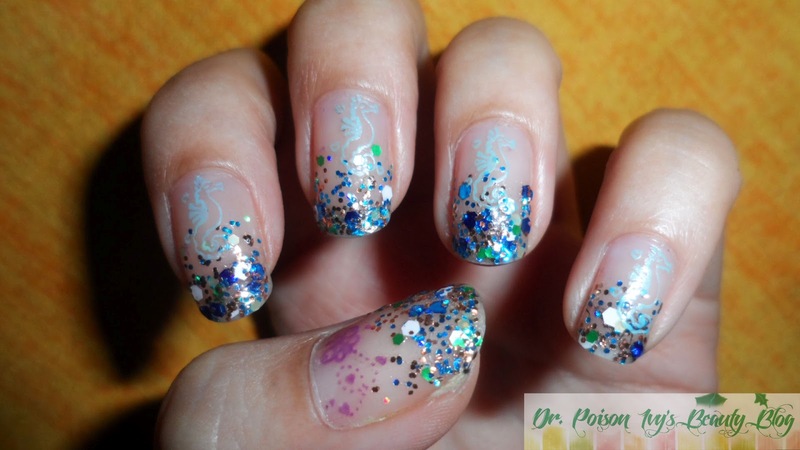 I am loving the glitters on your nails!! 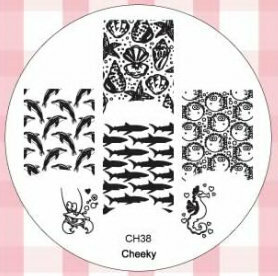 1stly you need a good stamping plate. Lovely! 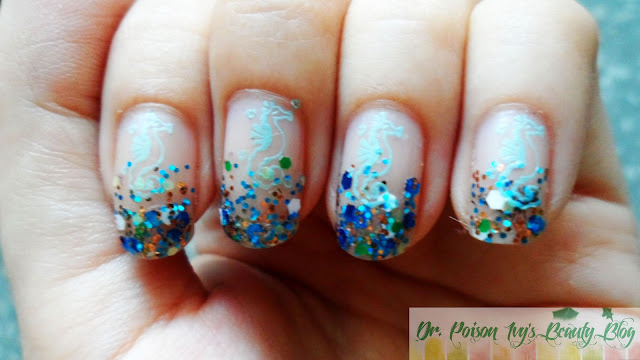 I like how creative you've gone with the pretty polish! i knw!! 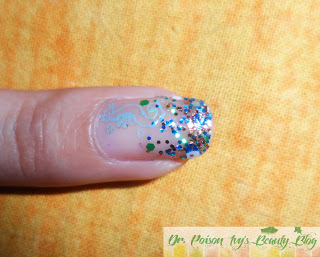 even i have some glitter polishes..but they are not as good as this one. The glitters in the nailpolish makes it so chic! Its looking very pretty with all the shimmer. Something to look forward to. yes, it looks so pretty na? Loved all the nail art!!! the glitters are amazing! i know!! do you like glitters too? Beautiful polish and great stamping!!! Really love the color and the manicure.